This is the Sweetest Casino in the world. High calories and big earnings. 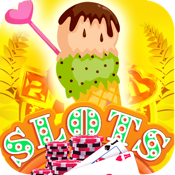 Try this fun and delicious game of slots machine. It's fun, easy to play and addictive. Enjoy!! !